Growth is a goal for every business. One way to grow is to expand beyond your national borders. If you’re thinking about taking your business international in scope, you might be eyeing the US market for your first expansion. One of the things Canadian firms need to be aware of when they expand, however, is the issue of HR compliance. You may think that US and Canadian cultural similarities mean you’ll find similar work cultures and regulations. This is where many Canadian business owners face challenges as they expand south. Why do you need to put HR compliance at the top of your list of priorities? You might think there are many other concerns for a business expanding internationally. 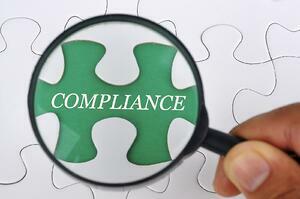 Here are some of the reasons why HR compliance should be first in line. As you know, employment is governed by labour legislation in both Canada and the US. Just like in Canada, if you’re not following labour laws, you could find yourself penalized by any number of government agencies or law enforcement bodies. A good example in the US is worker misclassification. Worker misclassification has become a concern for governments and the IRS in recent years. The IRS allows workers and employers to challenge classification. If the IRS finds misclassification has occurred, it has the power to levy penalties on the employer. Several states have followed with legislation of their own. These laws lay down penalties for employers who misclassify employees, on top of any federal penalties. Maintaining good HR compliance can help you avoid these sorts of penalties, which can help you lower your costs. Another reason HR compliance is important is that you could find yourself at the wrong end of a lawsuit. While the US has different regulations, there are still cases where you as the employer may be found culpable. More and more employees are suing over discrimination in the workplace. Bias and discrimination are major concerns during the hiring process and in the workplace. What’s more, workers are beginning to win more of these cases. Compliance helps you avoid this situation by creating a welcoming, unbiased environment for your employees. The talent market in the US has been tightening up. Low unemployment means there are fewer job seekers. In turn, it’s harder for employers to hire the right people. In this market, you want to leverage every advantage available to you, including your employer reputation. If you maintain HR compliance, you’re more likely to have a reputation as a good employer. Talented job seekers will want to work with you. Compliance also helps you keep that same talent. A non-compliant workplace environment isn’t the best place for workers, and many of them will leave. The candidate market makes many people more confident they’ll be able to find a new position quickly, which increases the likelihood they’ll leave. The best reason to maintain compliance for your HR operations in the United States is that it will contribute to your bottom line. How? HR compliance works to create a better workplace environment for your employees. As a result, your people will likely be more motivated and engaged. Higher employee engagement often translates into increased productivity. Higher productivity results in higher revenue. That’s to say nothing of the savings you’ll see by avoiding penalties, fines, and costly lawsuits over HR compliance. Since compliance also lowers turnover, it bolsters the bottom line by reducing hiring and training costs. It’s easy to see why HR compliance needs to be on your radar. If you need a hand maintaining compliance or becoming compliant, get in touch with a PEO. No employer likes to think there will be an accident in the workplace, but it’s a reality you must consider. It’s likely one of the reasons you carry insurance in your home country. 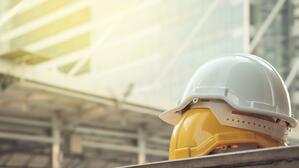 If you have operations in Canada, you should be familiar with workers’ compensation. In Canada, it’s a program designed to protect workers if they should be injured or become ill in the workplace. It helps them cover out-of-pocket costs. As an employer, one of your responsibilities is working with workers’ compensation boards across Canada to make sure your employees have the right protections. Here are a few of the most important things for you to know. There is no single body governing compensation for workers in Canada. Instead, each province maintains a Workers’ Compensation Board (WCB) or similar body. They function like insurance providers, offering employers coverage for employees should something happen in the workplace. The rules about who has to register vary by province. In BC, people who hire housecleaners or gardeners must register with the WCB. In the Northwest Territories, businesses applying for a license will need to register, even if they don’t have any employees. How much will you pay for workers’ compensation insurance? It’s a common question from business owners. The rates are usually given per $100 in payroll. Rates fluctuate depending on a number of factors. Different provinces have different rates. Your industry and your overall rating with the Board also factor into the rate you’ll pay. One of the principles of Canadian workers’ compensation is that the funds used to pay any claims should be independent. They’re also collective, meaning all employers share responsibility for them. You’ll pay into the fund, and if one of your employees makes a payable claim, they’ll be paid from that fund. This ensures funds are always available, so payments can be made on time. The Workers’ Compensation Board in your province will investigate any claim made. If an employee files an accident report and claims they needed medical attention, the WCB will follow up to determine if payment needs to be made. Compensation is based on the no-fault principle. If it’s determined the employee was injured or became ill in the workplace, compensation will likely be paid. It doesn’t matter if the injury or illness came about because of the employer or the employee’s actions. What your employees will receive from the WCB will depend in part on where your operations are based. As a rule of thumb, they’ll receive health care payments, lost wages, and permanent disability if they can’t return to work. If an employee is killed on the job or dies following a workplace injury, WCB may pay survivor benefits. Employees who suffer debilitating injuries or illnesses may also be covered for rehabilitation. If you’re required to register for workers’ compensation in your province, you may believe everyone in your company will be covered. This isn’t always true. The director of companies, for example, may not be covered. In some provinces, children may be covered. Even independent contractors are sometimes covered by WCB premiums. Some business owners opt not to register for WCB unless they’re required to by law. An accident, injury, and illness can happen in any workplace, however. Registering with your provincial WCB can provide you with the protection your business needs. If you’re not sure if you need to be registered, consult with a PEO. They can help you determine your needs. You’re about to take the next step with your business. It’s time to expand across the border into the American market. As you begin to set up shop in the United States, you’ll likely want to send in some of your most trusted and senior employees to oversee operations. These employees may be members of senior management, or they might be HR professionals responsible for training and employee development. Their tasks might include hiring new American employees or developing policies to ensure your business operations are as smooth as possible. You may even need to send in some seasoned experts. If this describes your situation, you need to know all about US work visas and the timelines for processing them. You want to be sure your employees have the proper paperwork before they set out across the border. Keep these five things in mind as you begin to prepare employees for an international exchange. If you’re planning a trip to the United States to start your international operations, you don’t need a work visa. You will need some different paperwork. Entrepreneurs will need to set up a legal business entity before they can begin US operations. Your other option will be to engage a professional employer organization to take care of many of the human resources operations associated with your business. If you’ve already established your business operations and you’re sending in other employees on your behalf, then work visas are the appropriate documentation. To apply for most US work visas, your employees will need to present a few different pieces of documentation. One of them will be an offer of employment. This will be from your US branch or subsidiary. They’ll also need to provide documentation of their education and skills. This might include a copy of a diploma or university degree. 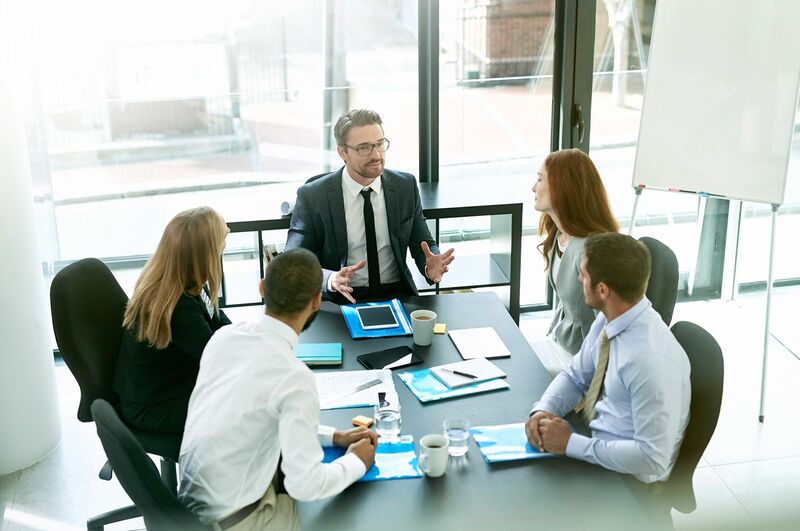 Your employees may need to prove their expertise in certain areas. When applying for US work visas, your employees may need to submit to a medical examination. This is usually a simple physical, and it can often be performed by their family doctor or another medical professional. Most countries, including the US, want to ensure the people crossing the borders are healthy. They may be concerned about infectious diseases. Another concern is the strain that could be placed on limited medical services in the host country. The requirement may also depend on what job the employee will be completing. Those who work with the general public are more likely to need a health check. Those who have lived or worked in certain countries may also be asked for a medical check. A new trade agreement between the US, Canada, and Mexico will likely usher in changes to the existing NAFTA visa programs. While this new deal isn’t yet in place, employers should expect new rules to come into play. Changing rules and requirements could cause headaches. 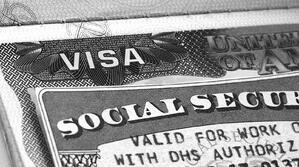 If you can, have employees apply for the TN visa sooner rather than later. It can take time to get US work visas, so you’ll want to have your employees start their applications early on. Once it’s been decided someone will be going to the US, have them begin their petition. It often takes three to six months for an approval notice to be issued once the petition is filed. If your employees need to work in the US, you’ll want to be sure you get started on this paperwork as soon as possible. If you keep these things in mind, you can make it easier for your employees to obtain the right US work visas when they need them. Most business owners and managers know the importance of finding qualified help to support their business ventures. No matter what you wish to accomplish, finding the right partner is a large part of success. If you want to expand your business into Canada, finding the right partner for your human resources, payroll, and compliance is key. Hiring the right people, ensuring they’re properly compensated, and ensuring you’re complying with legal requirements go a long way to helping you find success in Canada. One question you likely have is who you should work with. It can be confusing to enter a foreign market. Sometimes, different terms are used. The kinds of vendors you’re used to working with may be called something else, or they may not exist. In Canada, American companies should seek to work with employers of record (EORs) often called a professional employer organization (PEO). Canadian employers of record are very similar to PEOs in the U.S. They help you administer your human resources in Canada. Before you team up with a Canadian EOR, you should know a few things. Most American companies decide to work with a Canadian EOR for their human resources activities. This can include hiring, administering payroll, monitoring compliance, dealing with benefits, and more. Canadian EORs can also offer you some surprising benefits. They may be able to assist you with record-keeping and during audits. They may also be able to advise on strategic decisions such as company structure and tax efficiency. They might also be able to help you with paperwork if employees need to move between Canada and the US. The reason most American companies work with a Canadian EOR is to ensure their Canadian operations are successful. Your business won’t be very successful if you can’t hire the right people to staff it. It also won’t be very successful if you happen to run into compliance issues during hiring. Working with the EOR is a step toward cementing success for your Canadian operations. A Canadian EOR can also offer you excellent advice for your firm. Your HR staff are likely well-versed in regulations and compliance in your home country. They might be less knowledgeable about Canadian laws and regulations. This is where an EOR can step in. Not only can they help you administer your policies, but they can also offer advice on how to stay in step with the law. They may be able to offer insights on revisions to your policies or new policies you’ll need to put in place to remain compliant. They can then help you execute them. Finally, they can also help you navigate the nuances of Canadian requirements and differences between provinces and territories. Another way Canadian EORs can assist American companies is by providing the infrastructure they need on the ground in Canada, right from day one. They’ll support you with an expert team of knowledgeable staff, banking and insurance infrastructure, and the right technology and tools to make your operations in Canada seamless. There are many EORs out there, and not all of them are the same. Some EORs won’t meet your needs as a business. They may be too small or too large. Their service offerings may not meet your needs. Instead of partnering with an EOR that doesn’t fit your needs, keep shopping around. The right Canadian EOR is out there. With some good research, you’ll find the perfect partner to help your Canadian operations achieve success. One of the most efficient ways for a foreign business to enter the Canadian market is to acquire a Canadian business. If you’re acquiring your first Canadian business or adding another to the list, you’ll want to keep these tips in mind. You’re moving forward with the acquisition process, but have you given any thought to what might happen once you’ve finished it? You’ll need to think about how the businesses are structured. Your Canadian company may be its own corporation, but how will that affect your taxes? Keep in mind you could be looking at paying taxes in both Canada and your home country. Business structure will play into tax efficiency. Sometimes, leaving a business as a corporation is the most tax-efficient thing to do. If you’re planning to merge this new Canadian acquisition with another Canadian business or with your own company, careful attention to structure can help yield better tax efficiency. After you’ve started thinking about business structure and tax efficiency, your thoughts will probably turn to yet another topic. Compliance is important, particularly with tax laws. It’s the major reason you want to contemplate structure and tax efficiency to start with. This plays into a larger theme, as compliance affects all of your operations. Compliance in your HR and payroll operations is clearly a concern for any business looking to acquire another in Canada. Canadian law is often different than that in other countries, so it’s a great idea for those acquiring a Canadian business to be familiar with legislation. Take a look at vacation pay, hours of work, worker’s compensation, and more, to familiarize yourself with the legislative landscape. Compliance, payroll, and HR activities such as hiring are all big jobs on their own. If you’re unfamiliar with legislation pertaining to these subjects, they can become even more complex tasks for your HR teams. Instead of muddling through on your own, consider partnering with a professional employer organization (PEO) to help you. A Canadian PEO is going to have an intimate knowledge of the rules and regulations governing your new business. They can use their expertise to assist you in almost all of your endeavours. Maintaining compliance has never been easier. Better yet, your PEO just may have some great advice about how to structure your business or assist US employees in coming to Canada. Since they have the experience, they also have expert knowledge you can rely on. Canada has a different culture. Although it shares many similarities with the U.S., and many Canadians can trace their roots back to the U.K., Canadian culture is quite unique compared to any other. Cultural differences can make themselves known in many different ways, from the values reflected in the legislation to expectations about salary and benefits. Anyone acquiring a business in Canada should be aware of these differences. For example, you may note Canadian salaries tend to be a bit lower than those of their American counterparts. Canadians tend to expect compensation in different ways, however, as many companies offer more robust benefits to their employees. Another difference to note might be the healthcare system. While American federal law currently requires employers to provide health insurance to their employees, Canadians have many basic healthcare services covered by provincial agencies. Pay attention to details here. The business may already have great benefits and salary structures in place. Keep in mind that legislation can also be different from place to place. Much like the U.S., Canada is not a monolithic state or culture. Each province can set some of its own employment laws. If you keep these four tips in mind during the acquisition process, the transition from purchase to ownership can be quite smooth. 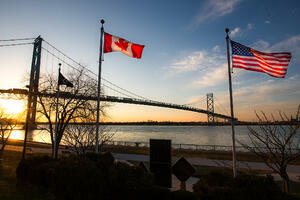 Expanding a business into Canada is an exciting move for an American business. Canada is often one of the first markets American businesses expand to. There are a number of good reasons for this. One is that Canada often represents a ready and waiting market. Other factors, such as shipping logistics, are also simplified between the US and Canada versus other markets. There are still challenges for American business expansion into Canada. As with any international expansion, you’ll need to do some careful research and proceed with caution. Educating yourself and your staff about the most common obstacles to American business expansion into Canada can help you achieve success more readily when you are ready to expand. Perhaps the most common stumbling block for American business expansion is the cost of doing business in Canada. Quite simply put, the cost of doing business is higher in Canada. There are a number of factors that play into this. The first is often the exchange. Canadian prices are usually higher. Employment legislation may play into this, particularly where minimum wages are concerned. Ontario and Alberta are both set to have $15 per hour minimum wages in 2019. As the cost of paying employees increases, so too does the cost of purchasing goods. There are also other considerations. Canada is an enormous country geographically, but its population is concentrated on the US border and sparse elsewhere. The population is also much smaller than the US. The entire Canadian population is about equivalent to the state of California. As a result, it takes more money to get goods to scattered population centres. Taxes can also be higher, particularly employment and payroll taxes, which are used to support Canada’s social welfare programs such as Medicare, the Canada Pension Plan, and Employment Insurance. Many American firms underestimate the costs of doing business in Canada and soon find themselves exceeding their budgets on every item. Target has become something of a case study about how not to expand an American business into Canada. Target purchased many locations from the defunct Canadian discount brand Zellers. For years, many Canadians had been lobbying Target to come to Canada. Many Canadians made pilgrimages to Target locations in the US whenever they visited or if they lived close to the border. Target opened with much fanfare but couldn’t live up to expectations. Logistics made it difficult to get the products Canadians were used to seeing in US stores, and prices were much higher. Target ended up closing up shop quite quickly. Target made one other mistake. It opened about 100 stores across Canada in just under a year. That strained the budget and caused huge issues with shipping and inventory logistics. Other retailers, such as Lowe’s and Crate and Barrel, have expanded much more slowly and have been met with more success. American business expansion should follow the model of retailers like Crate and Barrel and Lowe’s. Slow and steady will win the race when it comes to business expansion in Canada. Another obstacle for American business expansion into Canada is employment legislation. Not knowing the law around hiring, employing, paying, and terminating employees can cause a good deal of headaches for American firms. Even at home, employment legislation can cause trouble for your HR staff. 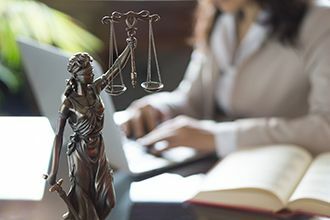 In Canada, employment legislation varies among provinces and encompasses everything from what kinds of questions you can ask in an interview to how much notice you need to give an employee when you terminate their employment. If you want to avoid these stumbling blocks during your business expansion into Canada, consider getting help from an employer of record. They can assist you in making better decisions for your business. Your business is expanding into Canada. Perhaps this is the reality you’re currently facing or maybe it’s a possibility on the horizon. You may even be in the middle of the expansion or you might already be operating in Canada. In any one of these situations, you’ll want to know more about ensuring compliance. Here are a few ways you can be sure you’re maintaining compliance when expanding into Canada. The first thing to do when expanding into Canada is to take a look at the legal framework. Try to familiarize yourself with the rules. You’ll probably take some time to consider at least a few aspects of your Canadian operations. You might want to think about your business structure and tax implications of that structure, for example. Being familiar with the rules will help you make better decisions when you’re expanding into Canada. Familiarizing yourself with the rules now will also help you later on. It’s also useful, even if you engage the help of experts, since you’ll be able to understand what they’re doing. The moment you decided you were expanding into Canada, you probably began looking for legal advice. While you and your staff members are all talented, you’re also busy. You also recognize you don’t have the expertise and you may not understand all the nuances of Canadian law. The number-one reason companies fail to maintain compliance is that they don’t fully understand what’s required of them. They may understand the basics, but they miss a key point or a particular corollary. Seeking legal advice can help ensure compliance when you expand your business into Canada. The legal expert can spot issues in your plan and guide you on revisions to make sure you stay on the right side of the law. One of the easiest ways to maintain compliance when you’re expanding into Canada is to engage a Canadian employer of record (EOR) for your business. These experts will assist you with many aspects of your HR operations in Canada. They’ll administer payroll, assist with hiring and terminating employees, and deal with benefits as well. Since they operate in Canada, they’re more familiar with compliance demands and regulations than you may be. They have a better understanding of the ins and outs of the law, and they’ll be able to guide you through HR compliance and other activities. Most business owners and HR managers make mistakes not because they don’t understand or because they don’t care. It’s because they’re unaware of a certain law. Working with an EOR helps you avoid the most common kinds of compliance errors. You likely monitor compliance as part of your day-to-day activities in your home country. If you have other locations, you likely monitor compliance there as well. Things should be no different when you’re expanding into Canada. Be sure to monitor compliance for your Canadian operations as well. Monitoring compliance is probably the best way to ensure compliance. An employer of record can help you here as well. They monitor their own compliance for you and their other clients as well. If a change occurs, they’ll be the first to know. They’ll also adjust their operations to ensure continued compliance. Maintaining compliance doesn’t need to be difficult. It can be time-consuming, however, and it can become complex if you’re unfamiliar with the legal requirements in a new location. Familiarize yourself with the law and work with knowledgeable partners to ensure your compliance is up to date when you’re expanding into Canada. Expanding a business into Canada is a big move. Whether it’s your first expansion or the latest in a series, beginning business operations in Canada has many advantages. It also comes with its fair share of challenges, many of which you’ll need to consider carefully. What kinds of challenges can you expect when expanding business into Canada? Here are a few of the most common ones American businesses face north of the border. The first challenge you’ll face when expanding business into Canada happens before you’ve even opened your doors. You’ll need to choose a business structure for your operations. This is an important consideration as your business structure has many impacts on the business itself. The most prominent of these are tax considerations. A branch office is taxed quite differently than a subsidiary, and unlimited liability corporations (ULCs) are subject to yet another tax structure. Your business structure has other impacts as well. 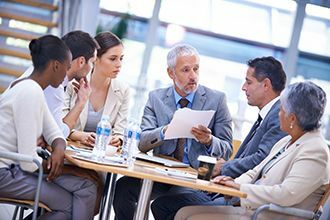 Structure can impact everything from how you handle losses to who you place on your board of directors. It’s important to ensure you select the right structure for your Canadian operations. You’re no stranger to employment legislation. After all, you and your HR staff deal with American laws about how to hire, classify, and terminate employees, among other employee-related activities. You’re also familiar with different levels of regulation. Both the federal and state governments can impose new rules and regulations. In Canada, there are also two levels of government looking after employment legislation. The federal level, however, only covers federal employees or about 10 percent of the workforce. The remaining 90 percent of Canadian workers are subject to provincial employment legislation. 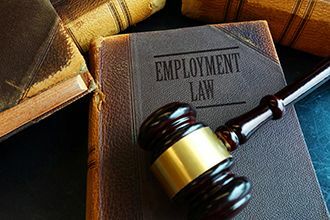 Employment legislation varies from province to province, and it covers everything from how an employee is to be hired and how they’re to be terminated to how to calculate their vacation time and pay them for holidays. Learning the legislation is important so you can ensure you’re compliant with the law. Of course, it also takes time to learn any kind of legislation in detail. While you may understand the basics, truly understanding Canadian employment legislation will take time. If you operate in more than one province, the task will become more difficult as you’ll need to learn and apply two sets of rules at the same time. Canada also has different rules and regulations about payroll, a fact most companies discover when they’re expanding business into Canada. You’re familiar with needing to deduct income tax and other amounts from an employee’s paycheque, but how much and what you’ll need to deduct vary in Canada and even from province to province. When expanding business into Canada, you’ll need to determine how you’ll compensate your employees. Then you’ll need to determine what counts as “taxable benefits” under the Canada Revenue Agency’s rules. While you likely guessed an employee’s salary is taxable income, you’ll also need to think about compensation offered through employee discounts, stock options, benefits, and even employee reimbursement programs. The Canada Pension Plan and Employment Insurance are also considerations for your payroll withholdings. The amounts you’ll need to withhold from an employee vary with salary, up to different maximum contributions. A payroll deduction calculator can be quite useful. When expanding business into Canada, it’s almost inevitable you’ll need to ask questions at some point or another. Many HR managers and business owners find they don’t always know where to turn when it comes to their Canadian operations. There are many excellent resources available. The CRA has some helpful guides about payroll and payroll calculators are useful tools. Government legislation is freely available, and legal advice is close at hand. A partnership with a Canadian PEO can also make expanding business into Canada much easier. Not Sure How to Expand Your Workforce into Canada? A decision to expand a business into Canada is one thing. A move to expand your workforce into Canada is quite another. While your workforce expansion may come as a logical extension of your new business operations in Canada, it may also be that you’re expanding your workforce without necessarily setting up formal business operations in Canada. How can you go about extending your workforce into Canada? There are quite a few different methods you can employ. 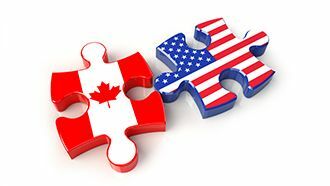 If you’re an American or Mexican company, you have the advantage of the North American Free Trade Agreement (NAFTA) to help you structure trade with Canada. You also have many experts already on your team. If you’re expanding your business operations into Canada, you may want to send some of them north of the border to oversee the expansion. You may also want to send some of the talented professionals you employ to Canada if you create a partnership with a Canadian firm or if you happen to fund a new project, such as research on new technology. A TN1 visa may be one good way to expand your workforce into Canada. The TN1 visa is designed to assist qualified professionals in certain fields. If you wish to send qualified experts to Canada on a short-term assignment, the TN1 visa may be the answer. You can also use the NAFTA Intra-Company Transfer program. The most obvious way to expand your workforce in Canada is to hire Canadians to work with your company. There are at least two ways to hire people in Canada to work with you. The first method is to hire Canadian contractors to work with your company. These people are set up as vendors, not as employees. They sell your business a product or service. There are certain tax advantages to this situation. If you need permanent, full-time staff, however, it won’t be the right solution. The other option you have is to hire Canadians as employees of your business. This is much simpler if you already have business operations in place in Canada, or if you’re planning to open your doors there soon. You can hire Canadians as employees of foreign firms, but the situation regarding payroll and taxation becomes somewhat more complex. How can you hire Canadians and expand your workforce? You can recruit them yourself, or you may wish to work with an agent on the ground in Canada. A recruiter may be a good choice. What if you need to hire many people in Canada? Maybe you had one Canadian employee and no real business structure in Canada. Now, the situation has changed and you need to expand your workforce. Perhaps you’re planning a business expansion in Canada, but you’re not sure how you’re going to go about it just yet. Working with a Canadian professional employer organization (PEO) may be the best move in both of these situations. In fact, partnering with a PEO may be the right move for anyone looking to expand their workforce in Canada for any reason. What does a PEO do? They act as the employer of your Canadian employees. This means they handle payroll, taxation, withholdings, compliance, and much more. Since they’re familiar with Canadian legislation on all of these points, the process becomes more streamlined and simplified. Making the move to expand your workforce into Canada can sometimes seem like a daunting task. With these tips in hand, you can make it a much simpler process. If you’re unsure of your next steps, get in touch with a Canadian PEO today. They can help you find the right solution for your expanding workforce.